Owing to the on going crises with the People Democratic Party, the Presidency was rumoured to have decided to wield his big stick against the recalcitrant seven rebel governors. 1. The President is set to remove such rebel members holding board appointments. 2, The will further encourage the FCTA Minister to work well to ensure that more governors sympathetic to the Alhaji Abubakar Barage-led rebel PDP lose their landed properties in Abuja. Already Rabiu Kwakwanso of Kano State, had a choice piece of land allocated to him in Maitama District, Abuja, revoked by the FCTA on Saturday. And the “illegal structures on the land” measuring about 2,500 square metres may also be removed. The others known as rebel governors are: Sule Lamido (Jigawa), Murtala Nyako (Adamawa); Babangida Aliyu (Niger); Rotimi Ameachi (Rivers); Abdulfatah Ahmed (Kwara); and Aliyu Wamakko (Sokoto). The measures being targeted at the rebel governors by Presidency include the removal of their nominees from boards of federal parastatals and the withdrawal of any form of government patronage. 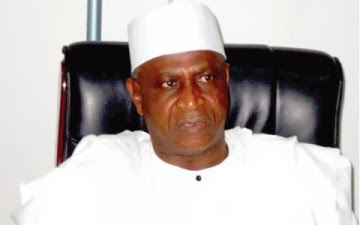 The inplication is that, Baraje, who is the chairman of the board of the Nigerian Railway Corporation, would soon lose the job. The National Publicity Secretary of the New PDP, Chief Chukwuemeka Eze, told the Puch that the “desperation” being shown by the Bamanga Tukur-led PDP was not different from what obtained during the military era. He said Nigeria was currently experiencing a military regime under the guise of democracy because party members were being hounded for daring to hold a different opinion. Eze said ,“This is no longer democracy; we are experiencing a military regime under the guise of democracy. But Ogbuenyi claimed that Kwakwanso’s allocation was revoked because the governor violated the Land Use Act by encroaching on a green area.